If you wish to be on the NEW list that we're trying to compile for trucks and times, please enter your information below. Engine: LS, Bowtie V6, Stock Block, etc. Transmission: 700R4, 4L80E, TH400, Powerglide, T56, etc. Other drivetrain mods: Turbo, NO2, Meth, A/A, Holley Dominator, Vortec Heads, etc. All of the information posted here will be taken and entered into the master database which will also be in this forum, stay tuned. Last edited by JRoyPDX; 12-10-2018, 04:52 PM. 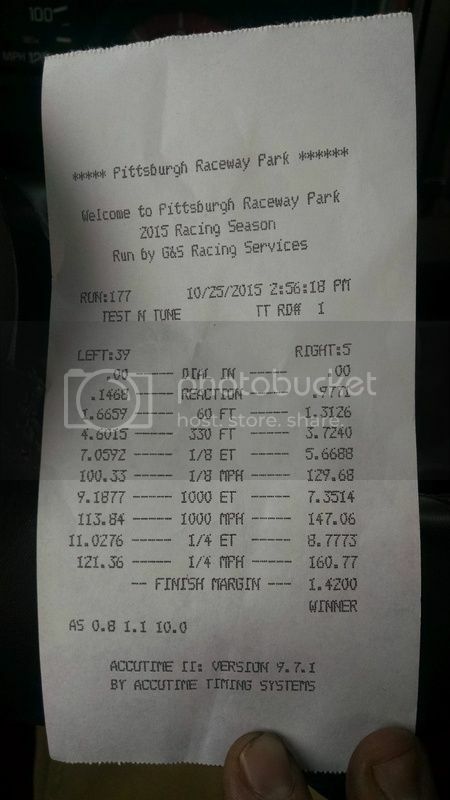 Not fast but not bad for a 92 show truck either. Built stock block .040 over DSS Pistons, eagle rods, Steve Morris cam, #80 injectors, L35 heads, E85, precision 62/66, built 4L60 and only 16 Lbs of boost. Recently turned up boost got to 25 injectors were over 100 duty cycle so I'm back to 21lbs around 98 duty cycle 😬. Needs Bigger injectors but not ready for stand alone might run the strip this fall. Last edited by SLOSTRM; 09-06-2018, 10:40 PM. Stock Block .030, Nitrided Crank, Eagle H Beam rods, comp cam spec’d Harry Anderson, Comp Magnum rockers, comp Magnum pushrods and hyd lifters, Vortec Heads Ported, Custom Headers and Downpipe by Leith Mease, Ported Stock Intake upper and lower, Built 700r4 by Cottman Teansmission, GT35R Turbo, Large Air To Air Intercooler with Big Stuff 3, Tuned by Harry Anderson ..
700r4 built by Dr Phil, 3000 triple disc lock up converter. Last edited by TittyTy; 10-20-2018, 01:16 AM. Last edited by Aeroking; 11-19-2018, 07:30 AM.